And she is right. A program like Accelerated Reader 360 is easy. It is quick. It is less work for us, the teachers. A child reads a book, takes a test, the score determines whether they understood it, what they need to practice, and what they should read next. One computer program and so much work has been done for us. So we hand the companies our money, sometimes instead of buying books. We place our children in front of computers who decide which books they should read, which skills they should practice. All we have to do is sit back and print out the results. We have all the data we need right there. It is so much easier to teach a child when we don’t have to take the time to get to know them. But that is not enough…. We create readers and kids who like to read through interaction. Through conversation. Through exploration. We create readers when we feel a deep personal connection to a text. When we hand over a book to someone else. When a book stays with us, haunts us, and keeps us awake. When we cannot wait for the sequel to come out or we cry when a series ends. When we rush to tell someone else about the experience we have just had with a book, or we tell no one because no one will ever fully understand just how we feel. We create readers when we give them time to read. When we help them work through text that they have self-selected. When we give them choice and the room to explore. When we offer them many ways to succeed. When a teacher is there to protect, to guide, to help, to adjust and to learn about the reader that is in front of them. Not just when we comprehend. Not just when we cite evidence. Not just when we can successfully pick out the theme that someone else has decided is present. Not just when we purchase a “reading” program and fail to notice that it doesn’t actually do reading instruction. And so I shudder when someone asks what computer program they should purchase for their struggling readers. Which one will guarantee the most growth. As if growth is the only defining factor of someone who reads? No computer will ever care about the hope that my child carries. No computer will ever tell her to not give up when something gets hard or understand why she makes the decoding mistakes she does. No computer will ever tell her that she IS a reader, even if she doesn’t feel like one. It would be the death of her. And yet, we see it everywhere. Computers doing all of the work that a skilled teacher should be doing. We take our most vulnerable. The kids who hate reading. The kids who are not where they should be. The kids whose gaps continue to grow and instead of putting them with a specialist, instead of putting them in an environment where books, and conversation, and interaction, and being on a journey together rule the day. We push start and then walk away…. And then we wonder why they tell us they never want to read again. So I ask you this; if you would not put your strongest reader in front of a computer. If you would not take specialized instruction away from those kids who are advanced. If you would never dream of subjecting a child to the whims of a program when they have already proven they are a reader, then why do it to those who need us the most? Reading is not just about comprehension. Reading is not just about growth. Or rewards or even pages read. Reading is about a journey. A love. A dream kept alive that by reading a book we would be something more than we were when we started. No computer program can ever provide that. 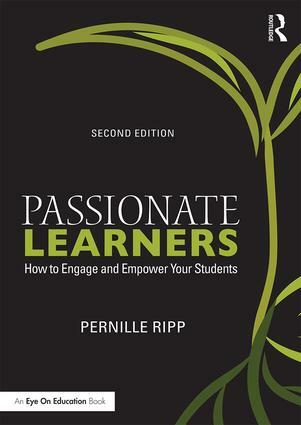 Thank you, Pernille, for reaffirming what I knew in my heart. I get so overwhelmed…I am a mid40something…..and I get so overwhelmed by all of the computer programs for reading, apps for teaching, etc. Granted, I love technology and use it, but it can NOT take the place of a book and a teacher who cares. Thanks for reminding me! Yes, Thank you, Pernille, for your words. I know this in my heart! Something to think about and to talk about! Reading is a journey! 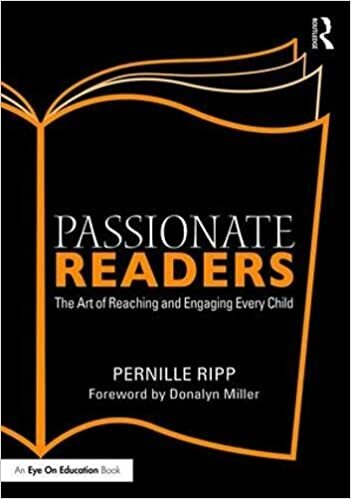 I hear from people ask me “What about the kids who love AR?” My response is that those kids will do well with teachers who discuss books with them, but the kids who are HARMED by AR may never recover. If any program harms ANY child, then it should never be used. We were just talking about this. This is beautifully and passionately written! As a 33 year career ELA teacher, I couldn’t agree more. I will definitely be purchasing your book. Thank you, Pernille. What we like isn’t always what’s best for us. Sometimes what we like is easy and harmful. For example, I like caramel candies, but they’re not good for me as a staple in my diet. In fact, added sugar should be diminished from everyone’s diet big time. I think if we believe/understand a practice to be wrong for one group of students, then it’s likely to be damaging to all students, perhaps for different reasons or varying degrees of the same reason, but damaging nonetheless. We need to promote practice that does no harm; that is our first responsibility as educators. Programs and approaches where someone is going to benefit financially are circumspect in schools. We need to be clear about that, at least. Thank you from the bottom of my heart for putting into words so eloquently what is wrong with some of the guiding thinking today. Our ENTIRE reading staff was eliminated this coming school year to save money. Meanwhile our administrative team is scrambling to find that one “best” computer program to replace a team of us who love fighting the good fight, encouraging, supporting, transacting, and nurturing our most vulnerable readers in a population that is largely at-risk. Thank you for reaffirming that people matter in this journey and that dedicated staff cannot and SHOULD NOT be replaced by more technology. Our reading staff has been cut down to bare bones. While our administration isn’t replacing us with technology, they are replacing us with a sparkly new basal system for classroom teachers to follow. The thought is that the students will do so great with this new program they won’t need reading teachers. Yes!!! I’ve believed and said this for years! Nothing, absolutely nothing can take the place of a competent, thoughtful, responsive teacher. Kids need their teacher not computer programs. Thank. You. Thank you for your thoughts. I spent my career in education fighting against basal and computer programs for any students. Computerized tests such as NWEA are also an insult to thinking. Thinking can’t be measured by a multiple choice test. Skilled teachers listen and observe. They don’t need a print out to decide how to challenge and support all learners. I have been fortunate to be surrounded by such teachers. They do exist, and I am in awe of them.